I had assumed that buying round-trip plane tickets saves a lot of money, but lately I've been comparing prices and the round-trips I've seen are almost identical in price to just buying two one-way tickets separately. So my question is this. Is convenience and a marginal (perhaps even only perceived) cost difference the only benefit to a round-trip ticket? Or is there some other purpose I'm not aware of? EDIT Nov 3: I apologize for not considering international travel. It's been many years since I've flown outside of the US. Especially on longer (non-regional) international flights, a round-trip ticket usually still costs substantially less than two one-way tickets (except award tickets purchased with points/miles.) I have encountered many instances where a one-way ticket was actually more expensive than the entire round-trip on the same route for international tickets. This used to be the case for U.S. domestic fights, too. Sometimes it still is, but usually nowadays a round-trip ticket costs exactly the sum of the two one-way fares for domestic tickets in the U.S., as you've noticed. Domestic/regional flights outside of North America are increasingly adopting the same model of making a round-trip price equal to the sum of the outbound and inbound one-way segments, but it's not yet as common outside of North America as it is within North America. If your outbound flight gets delayed so much that your trip would be in vain (say, you had a business meeting or a conference to attend and the delay has already caused you to miss it,) the Contract of Carriage generally allows you to cancel the entire trip for a refund. In the case of a round-trip ticket, the entire ticket, including the return flights which were potentially not delayed, would be cancelled and refunded. In the case of two one-way tickets, the airline is under no obligation to refund the return flights (though sometimes they do anyway, particularly if it's on the same airline and more likely if you're a frequently flier with them.) So, purchasing a round-trip ticket can provide some protection against flight delays/cancellations. When something comes up that causes you to need to change your trip schedule, the airline change fees are usually charged per ticket rather than per segment. So, if you need to delay your whole trip (outbound and inbound) by a day, for example, you'd need to pay the change fee only once with a round-trip ticket vs. twice with 2 one-way tickets. On the flip side of this, though, as you've noted already, sometimes the change fee costs more than a one-way flight and you only need to change your flight schedule for one segment. In this case, it's actually cheaper to make the change with the two one-way tickets by simply cancelling the one you want to change and booking a new ticket for that segment. This is much more likely to be the case on relatively short domestic routes where the fares are already very low. It is less likely to be the case on longer trips where the one-way fares are probably higher than the change fees anyway. It used to be advantageous to buy round-trip tickets, and of course it's less work to do so since you only have to pay for the ticket once. 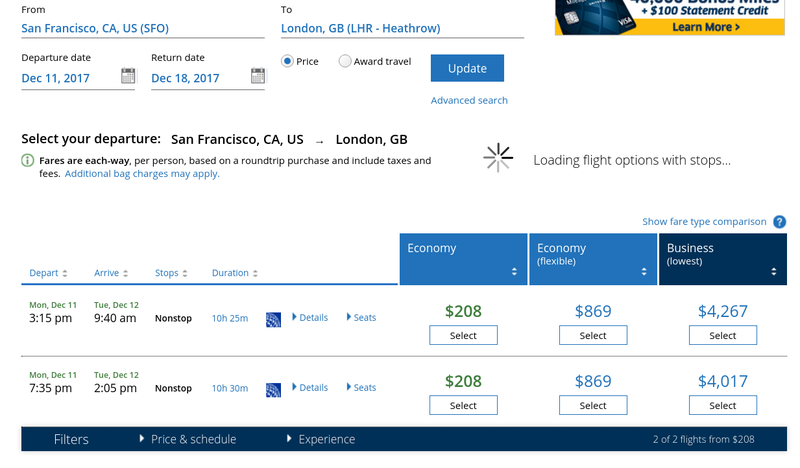 For some travel, such as overseas travel, on some airlines it's still cheaper to do a return flight or an open-jaw flight (e.g. Toronto-London, Paris-Toronto) instead of buying each leg on a separate ticket. One advantage to buying on the same ticket is that if the first flight is delayed or cancelled, you may have an easier time persuading the airline to change the return flight to compensate (particularly if the outbound flight is delayed by a day or more). Also, for very short trips, you may need to cancel the entire trip if a delay happens (e.g. I'm flying Regina-Moncton tomorrow, but coming home the following night, and my event is Saturday morning; if I can't arrive by Saturday morning before 9 am, there is no point in me even going there). Of course you need to add the other leg to it but that's <$400 and so you are still looking at a ~$600 ticket vs a $1984 ticket. In general, this doesn't happen on routes where low cost competition exists but on intercontinental travel, it's still very strong. As seen from the other answers, people have very different experiences when it comes to comparing a round-trip to the two legs being ordered separately. Then discounted fares were introduced (so-called APEX fares). The idea was to make sure business travellers (who supposedly have more money to spend) spend more than holidaymakers. This was done by imposing rules on the whole trip, such as the obligation to spend at least one weekend at the destination, or a minimum duration at the destination. To make this possible, it required the round-trip to be sold at once rather than the two legs being sold separately. This is what introduced the big difference between the round-trip (which is discounted) and separate flights (which are not). Note that you usually see only the lowest fare, but rest assured that there is still a full-fare round-trip in the system with the same cost as the two legs. Then low-cost carriers came in, and decided that low fares were for everyone, and that the only important factor for them is whether the flight is in high demand or not. Usually at LCCs, beyond an usually small admin charge / booking charge / credit card charge, a round-trip is exactly the same cost as the two legs put together. And I believe most don't care if you don't use one of the legs on a round-trip. Of course the incumbents had to do something, and you end up with a pretty interesting situation: if there are LCCs with a significant share on that city pair, then they apply fares (and possibly rules) close to those of the LCCs. If not, they continue to apply the usual round-trip-with-conditions-is-cheaper rules. The end result is that on most popular short-haul/medium-haul routes, there is little difference between the two (at least in term of cost -- the incumbents may still apply sordid rules), while on long-haul routes (where there are few LCCs if any at all), or less popular short-haul/medium-haul routes, you still can see a big difference. Now, when it comes to picking one over the other, pay attention to the fare rules. Usually when flying with a LCC (at least the major ones), you won't see much of a difference between the two in terms of flexibility. You'll just save a few bucks/quid/euros and a few minutes booking as a round-trip. When flying with an incumbent, all bets are off. It really depends what flights you are looking at. Some airlines simply price their round-trips as the sum of two one-way tickets but that is the exception rather than the norm. Most times, it is cheaper, and often by a considerable amount, to buy a round-trip ticket. Therefore the main reason is to save money. There are other conveniences such as getting your entire journey determined at once which saves the hassle of trying to find a matching pair of tickets that suits your needs. The ticket makes a single entity of your trip, this makes it cheaper to reschedule since you only pay once, to cancel since there is only one cancellation fee and to have a single itinerary showing arrival and intended departure date which is sometimes asked by immigration. When you have two one-way international tickets, checkin often cannot be done online and you are asked to give your return ticket number at the counter when checking in. There is another significant advantage of buying a round trip that has not been mentioned. All airlines I have tried to book with so far do not quote the price in the local currency of your IP address but in the local currency of the departure airport. So if I were to book a holiday to Singapore using Singapore airlines and if I book this holiday as two one-way tickets, I would be able to pay my outbound ticket in my home currency (with no additional credit card charges or many more options for people without credit cards) — but I would have to pay the return ticket in Singapore dollars. I might not have the option of paying by card in Singapore (especially if I don’t have a credit card) and wiring fees may make the ticket more expensive. Furthermore, I typically know my home currency well, but do I know how it compares to Singapore dollars? I may think I’m looking at a great deal while in fact it is not one. See this previous question. Customer convenience: if travellers see the process of booking an airline ticket as a pain, being able to book both legs of the trip in one operation may be a more attractive option. Perhaps this is a hangover from the days of travel agents and paper tickets which is less applicable nowadays. Fixed and variable costs: if the booking process costs the airline more than a negligible amount, they may be able to save some of this cost when a customer makes both bookings in one transaction, and can therefore pass on some of this saving to the customer. Tradeoff of cost and convenience: If all prices are one-way and airline X has the outward flight I want to take but airline Y happens to fly at a more convenient time than X on the way back, I'll fly out with X and back with Y. In that case it's in X's interest to offer me a discount on their return flight, so they make a reduced profit from me on that flight rather than none at all. Market segmentation: It's quite likely that travellers who want to book one-way journeys are different from travellers who are willing to book a round trip. Maybe they're more likely to be flying on business or at short notice. In that case they may be willing to pay more, on average, for their flight than round-trip travellers. So what appears to you, the round-trip customer, to be a discount is in fact a premium being charged to one-way customers because that's what the market will support. If I had to bet which of these was most significant, it'd be the last one. I've seen cases where a single one-way ticket is 2 times more expensive than a round-trip ticket. (Instead of being 2 times cheaper). This does not make sense, but that's how it is. It's also advantageous to buy both tickets be beforehand, as the tickets become very scarce and more expensive towards the travel dates. In my experience in the USA, low-cost (budget) airlines such as Allegiant, Frontier, Spirit, etc. are more likely to have the total cost of a round trip ticket be the sum of the 2 one-way fares. I don't know if this is more based on their route models which are a lot of individual routes and not a hub/spoke model or just easier to deal with from an administrative standpoint, but that's what I've casually seen. It's the more full-service (if you can call them full-service nowadays with all the cutbacks) airlines such as Delta, United, American, etc. that you're likely to get a lower price on a round trip ticket than two one-ways. I know you weren't thinking of international flights, but consider the scenario. They look at documents you've previously submitted and other facts about you. You're not an automatic "refuse", but you're not an automatic "land" either: you are a wobbler, with several yellow-flags. So you know they'll be taking a closer look at you, with the question "How do we know this 2-week visit is for real, and you'll return when you say?" And there in your hand is your round trip ticket. Sure, you can argue that's not a huge thing in your favor. But lack of one would be conspicuous, and probably tip the scales against you. So it definitely helps. I recently booked travel for business. Someone else is paying for it. I booked a round trip ticket because it was easier than booking two one way tickets. The process involved me doing research, sending quotes to someone else, waiting for someone else to approve the expenditure, buying the ticket, submitting paperwork for reimbursement. If I booked two one-ways, then what if the return flight had sold out after I paid for the flight out there. I would have to research another return flight and get it approved. What if there were no approvable return flights left? could I get a refund on the outbound flight or would my employer reimburse me for the cost? These concerns seem unlikely but why take a chance to save someone else some money. I don't know if I could have saved money using two one-way tickets b/c no one paid me to find out. The fallacy in the question is stereotyping (and I don't mean two hands on the keyboard). When you purchase travel for a trip, you make your decisions on your personal values and circumstances for that trip. Not on some universal rule that applies to all trips to all places for all time. For me, the flexibility is often paramount, but not always. Many other occasions, price is important. So I compare two one-way tickets vs. one round-trip ticket. Sometimes the two is better than the one. Sometimes not. Not the answer you're looking for? Browse other questions tagged air-travel tickets budget price one-way or ask your own question. How do I purchase and book a round trip ticket for someone living in Ghana to come to U.S.? Peru to UK: need round trip ticket? 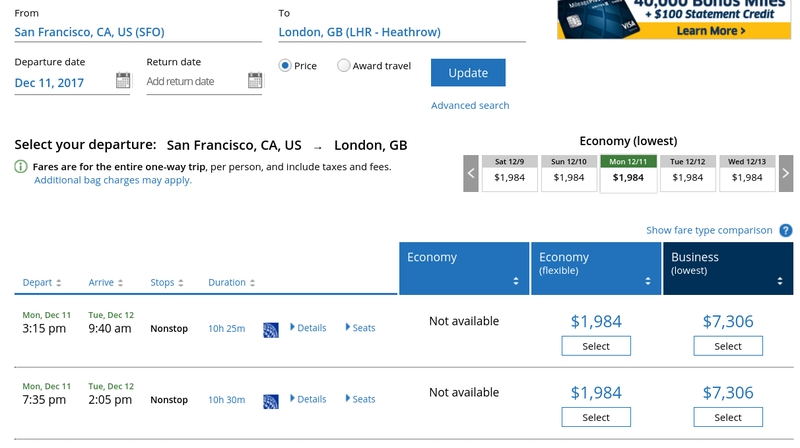 Can I purchase a round-trip and a one-way on the same flight sitting together?